L’Oreal (EPA:OR) posted its first-quarter results Tuesday evening, revealing an 11.4% growth in sales across the business. Sales across the group came in at €7.55 billion and had increased by 7.7% on a like-for-like basis. Founded over 100 years ago, L’Oreal is now the world’s largest cosmetics business. 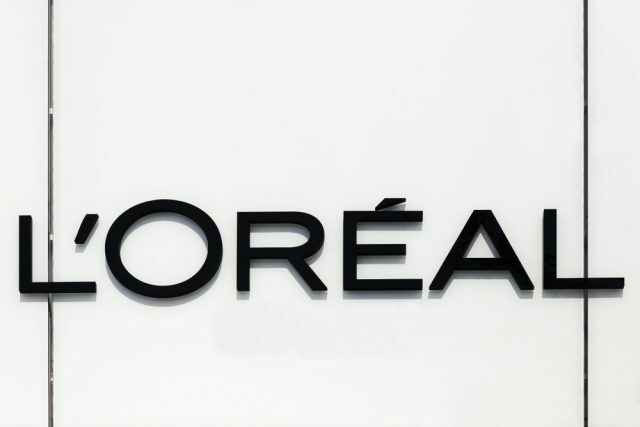 “In the first quarter of 2019, L’Oreal maintains the rhythm set in the last quarter of 2018, with strong sales growth at +7.7% on a like-for-like basis, and +11.4% based on reported figures. As anticipated, the powerful underlying growth drivers remain the same as in 2018: Luxe and Active Cosmetics, skincare, Asia, e-commerce and Travel Retail” Chairman and CEO of L’Oreal, Jean-Paul Agon, commented on the results. Its division L’Oreal Luxe posted a rise of 14.2% on a like-for-like basis and 19% on reported figures, maintaining double-digit growth. Its Western Europe zone posted an increase of 1.1% like-for-like and 2.1% based on reported figures. North America grew 1.2% like-for-like and 9.2% based on reported figures. “At a regional level, the highlight is Asia Pacific, which has become the first Zone of the Group, powering ahead not only in China but also in India, Indonesia and Malaysia, which have all posted double-digit growth. In contrast, the first quarter saw modest growth in North America and Western Europe,” the Chariman and CEO continued. L’Oreal emphasised that, despite a volatile and uncertain economic environment, its start to the year gives the company confidence in its ability to outperform the market this year. It expects to see another year of growth in sales and profits. Indeed, particularly in its UK market, the UK’s departure from the EU and its subsequent six-month extension is creating particular economic uncertainty. High street retailers find themselves facing tough trading conditions amid a gloomy environment. The company posted strong third-quarter results for 2018 at the end of the year, largely as a result of the strong demand of products within its luxury division. At 09:39 CEST Wednesday, shares in L’Oreal SA (EPA:OR) were trading at -0.042%.